I got into coaching by accident. I love Handball and always have, but it was always about playing the sport. The sport has been a big part of my family. My uncle played on national level and we used to travel a lot to watch him play. However, I never really thought about it much beyond spectating and taking part as a player - never questioned the whys and hows. 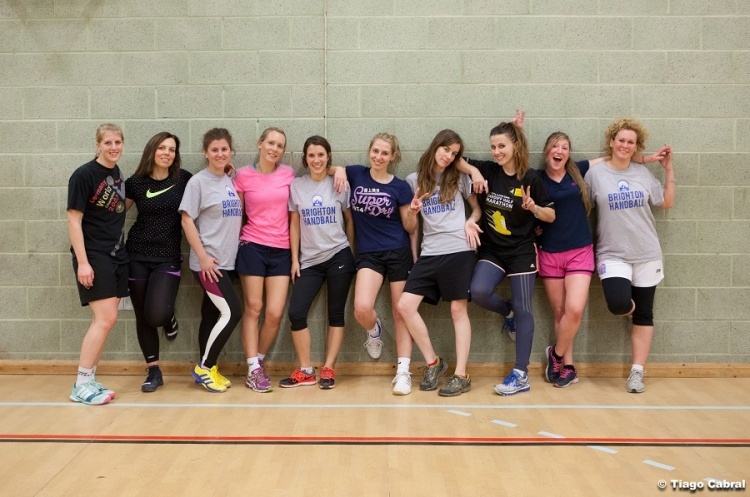 Three years ago my team mate at Brighton Handball Club, Gabbi, was doing a Level-1 handball course and it involved traveling. I had a day off and a road trip sounded fun. Little did I know that from that day onwards my life would become all about coaching handball. Doing the level-1 course made me think about the sport in much more depth. Coaching others, for me, is the best form of learning. I gain so much from preparing sessions. I want to make sure I understand the subject fully before I teach it to others. At the beginning of my coaching journey I spent a lot of time travelling around the UK watching national and regional academy sessions. I made notes on coaches' tactical and technical knowledge, and also the way they delivered the sessions. For me it's important to always have the players' needs in mind. Communication is the key. Building a strong bond with your team and making sure they know you care about their progress is important. Personally I also find it important to keep constantly motivated. I study and have a full time job so need to stay focused and manage my time effectively. A coach’s education is a constant process and it is crucial a coach continues to evolve. You have got to keep moving, set realistic goals both short and long term. I’ve been lucky to go to coaching conferences in Poland and France and attend workshops run by top European coaches. These have inspired me and encouraged me to keep my progress on track. I am also part of Talent Development Programme organised by Sport Coach UK and Active Sussex. This has allowed me to network with other performance coaches. Whether it be observing rugby, hockey, tennis, rowing or cross-fit sessions - I always find something I will later use in my coaching. I have had a lot of support over the last couple of years from everyone at England Handball. Being part of the England Under-18 girls’ programme working with such a talented squad alongside Bill Baillie and Roza Jozefowicz has been an amazing experience. My advice to other coaches is coach, coach and coach some more. If there are no coaching opportunities in your area you have to think outside of the box and create it yourself. Be prepared to put some work in, but trust me it's worth it. I work with several schools in my area as well as Brighton Under-15 and Sussex County girls’ team. Don't be afraid to try new things, make it fun and enjoy yourself. Never stop learning and be passionate about it. For new coaches, watch handball - try to see the game from the coaches’ perspective. Read. Keep a diary and make notes about your own progress. It can get hard sometimes but, whatever you do, make sure you put "players first".